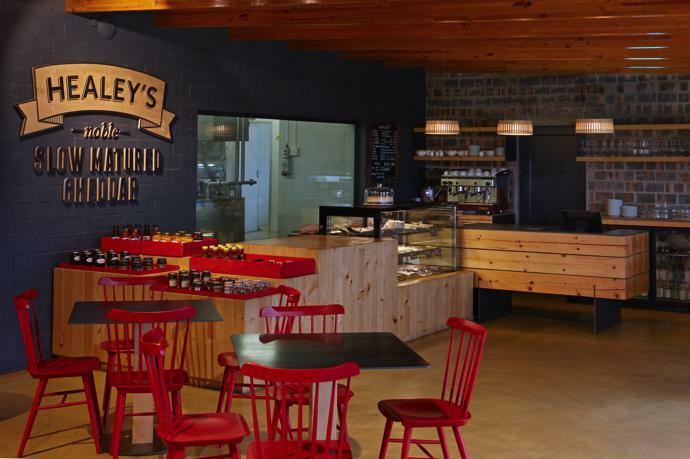 Designer Haldane Martin was commissioned to design the interior of the new Healey’s Cheesery and Deli on the Waterkloof Wine Estate in Somerset West. 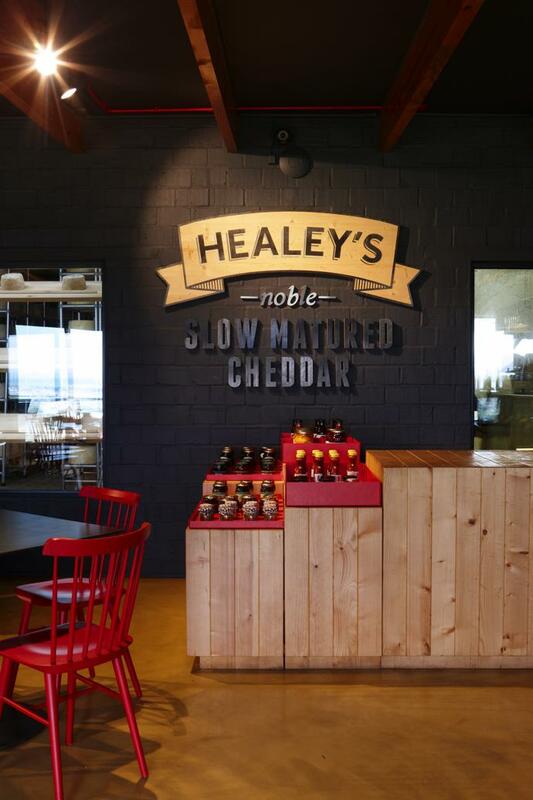 Healey’s Cheesery was envisioned to showcase the award-winning Healey’s Cheddar Cheese – most well-known for its slow-mature Farmhouse Cheddar, amongst the world’s top four cheddars since its launch in 2005 – and allow customers to taste cheese and wine together, while experiencing the cheese-making process first-hand. 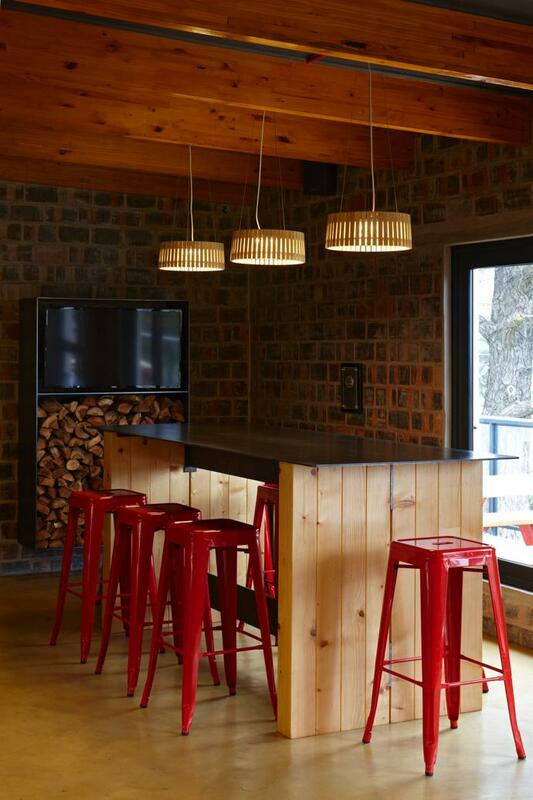 The simple, contemporary farmhouse overlooks False Bay, and visitors to the deli can look through large windows into the cheese-making factory and maturing room. The design concept centres around oversized spruce timber used to echo the large cheese wheels in both scale and colour. The main deli counter features stacks of the the warm yellow timber with the sawn ends exposed. The natural splits in the wood have been inlaid with red resin, reminiscent of red wax used to seal cheese wheels. 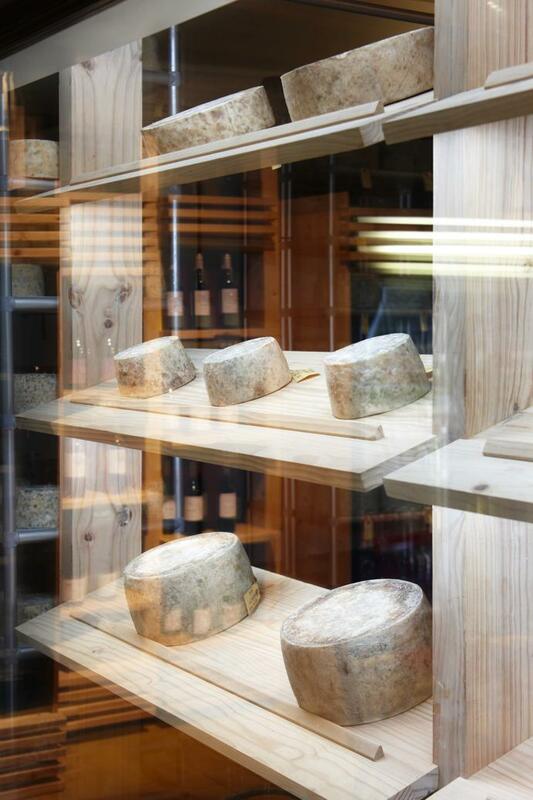 The upright beams of the tasting table and café tables also utilise thick pieces of spruce timber like large blocks of cheese. 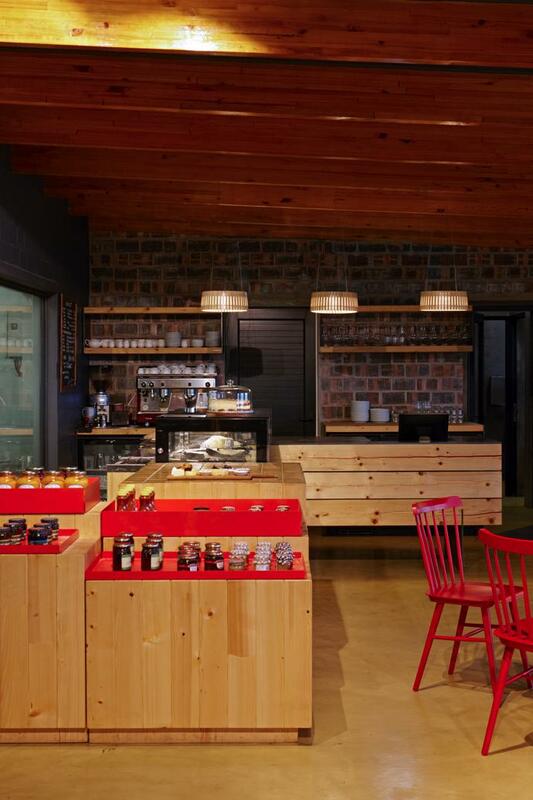 The café chairs are wooden Ironic chairs by Ton, a retro farmhouse chair painted red. The lighting also draws on the cheese motif. 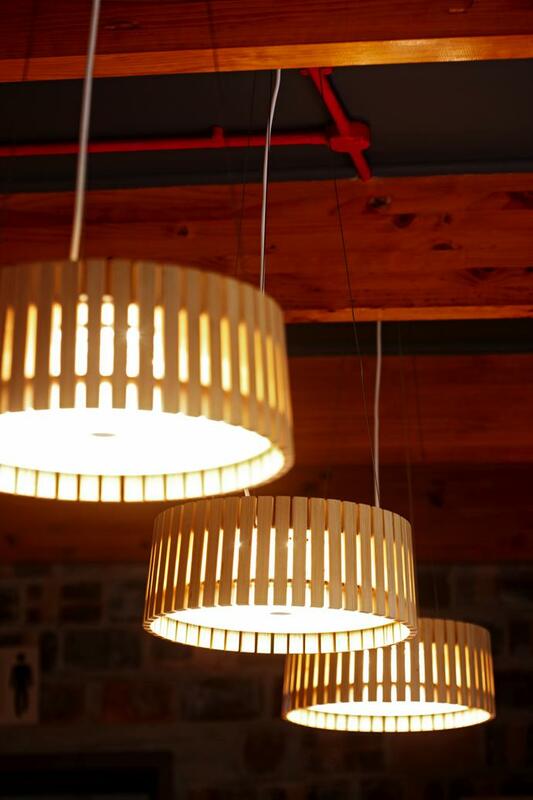 Round wooden pendants – like traditional round wooden cheese moulds – hang from exposed red piping between heavy wooden ceiling beams. 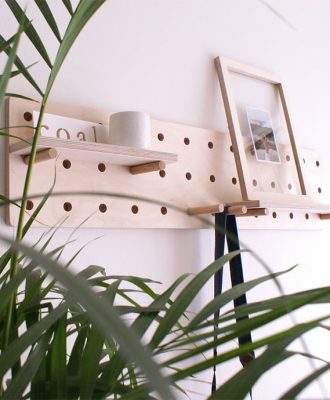 These give the sense of an old farmhouse while keeping the aesthetic light and contemporary. Raw steel has been used on the counter and table tops, and in the counter legs, signage and other design elements. 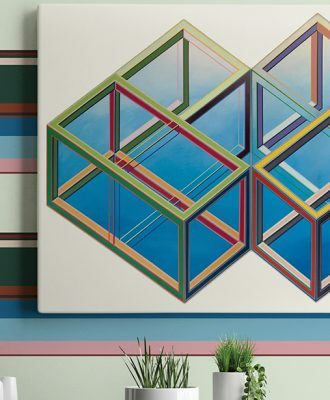 The walls have been left as exposed brick, with a feature wall painted charcoal to modernise the interior. 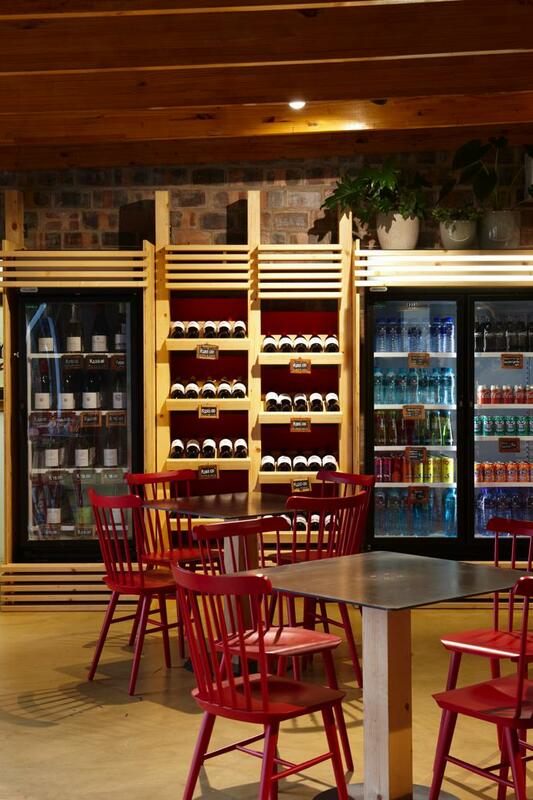 Find out about Healey’s here and see more of Haldane’s projects on haldanemartin.co.za.